I recently had a conversation with a high ranking officer in Vietnam’s Ministry of Industry and Trade whose work responsibilities include promoting and facilitating border trade and investment between Vietnam and China. We have been meeting for years and despite past flareups in the South China Seas and the occasional anti-China rally in Hanoi, he has always expressed optimism toward the future of the China-Vietnam relationship. He has believed that cooler heads will always prevail at the upper levels of government and that the increasing flows in border trade and investment overland between China and Vietnam do much to alleviate the tensions brewing on the seas. But in my recent meeting, the officer expressed a 180 degree interpretation of the future of trade relations between China and Vietnam. He fears that as a result of China’s aggressive movements in the South China Sea, the two countries will soon adopt isolationist and protective trade policies toward each other, and the goodwill provided by decades of border trade and shared investment projects will soon become undone. Vietnam exports iron, copper, agricultural products like dragon fruit, watermelon, limes, and most importantly rice to China. Vietnam is one of the world’s top exporter of rice and sends China much of it. Across the border, China exports minerals, energy from hydropower, and various temperate zone agricultural products such as apples, pears, peaches, and garlic. China also exports electronics, daily use items like cooking utensils and cosmetics. Importantly, a large portion of China’s exports to Vietnam is partially processed products like factory machines, electronics, and clothing. The manufacturing process which begins in China is completed in Vietnam and then shipped to the rest of the world. Although hydro-power exports from China to Vietnam are on the decline due to recent increases in Vietnam’s abilities to tap its own hydro-power, China’s advantage is clear: a greater variety in products plus a more robust export processing industry that allows for the shipping of unfinished products to Vietnam for finishing instead of vice-versa. 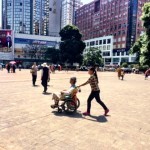 Guangxi serves as a critical trade conduit between China and Vietnam given its neighboring proximity to Guangdong, the powerhouse of consumption and production in southern China. The portion of goods which remain in Guangxi for consumption is unknown, but one can assume a majority of goods simply pass through and then are distributed to China’s densely populated coastal provinces. Goods are unloaded from Vietnamese trucks, inspected and then repackaged for sale in China. 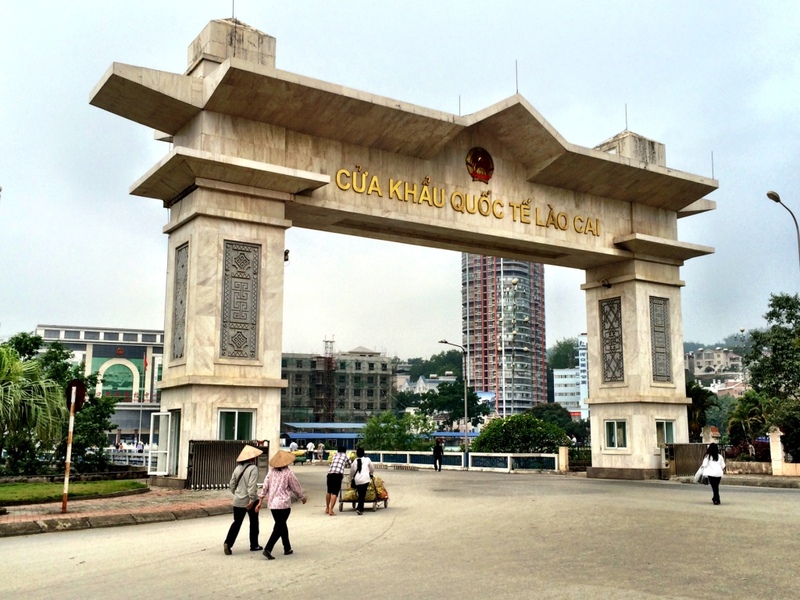 As a result of this process, a service sector that facilitates distribution of Vietnamese goods into China has developed at Guangxi’s two overland entry ports. Guangxi is favored as the land transit point for trade into China because it has more border points than Yunnan province, and its border has been open longer than Yunnan’s port at Hekou. Compared to Yunnan, Guangxi’s ports of entry are located in less remote and less mountainous areas where the speed of entry is faster, thus dropping cost of trade. Goods entering into China through Guangxi only need to travel for two to three more hours before reaching a major urban area like Nanning which hosts major wholesale distribution centers. It is widely known between traders in the region that between China and its Southeast Asian neighbors, some entry points into China are better than others in terms of ease of flow, inspection procedures, and transaction costs. Guangxi has a one-up on ease of trade with Vietnam over Yunnan where customs officials expect higher bribes for imports into China. Multiple entry ports into help tamp down corrupt practices. We assume that all entry ports in Vietnam and China require bribes, but with multiple choices to an exporter, if officials at entry point A are charging a 5% bribe on top of the standard tariff rate, then entry point B can compete for the business by charging a 4% bribe and so on until costs are competitively lowered. Vietnamese border traders cannot share the same advantage by trading through Yunnan where there is only one major entry point at Hekou. My colleague at the Ministry of Industry and Trade fears that bilateral trade policy between China and Vietnam will soon change for the worse due to rising tensions in the China-Vietnam relationship arising mostly from the South China Sea conflict. China and Vietnam both lay claim to multiple overlapping portions of the South China Sea and tensions have been playing out yearly since the 1980s. However, this year relations are seemingly at their all-time worst. 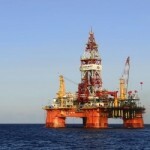 Recently, China’s parked three billion-dollar oil rigs within Vietnam’s exclusive economic zone 200 nautical miles from shoreline. These rigs also lay within the “9 dash line” that China claims as sovereign territory in the South China Sea. In May, China’s deployment of the first oil rig sparked protests across Vietnam and on the protests turned violent with the torching of foreign-owned factories in industrial complexes in southern Vietnam. In mid-June Chinese and Vietnamese delegations held a high-level dialogue to discuss the South China Sea conflict with zero progress announced. To date the situation remains at a standoff and will dictate much of this week’s strategic dialogue between the US and China given the warming relationship between Vietnam and the US. The effect of isolationist trade policy between China and Vietnam is predictable. China is Vietnam’s top trade partner, but the Ministry of Industry and Trade seems to be prepared to adjust and compensate for the loss in trade. The Ministry of Trade and Industry views itself at an advantageous position where widening channels of trade, particularly with the United States and Europe, give it trading options that facilitate a shift away from trade with China. The US demands aquatic products such as shrimp, sea bass, and manufactured goods from Vietnam and a portion of the agricultural products traded with China could shift to being consumed in robust consumer markets in the US, Europe, and Australia. Rice exports, importantly, can also find outlets for trade with the rest of the world, but cannot be completely replaced by the total currently demanded from China. 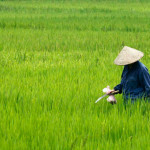 Yet this predicament may also fit an emerging trend in Vietnam; due to environmental degradation coupled with rural to urban migration in the Mekong Delta, and the shifting of Delta farmers from rice production to higher value agricultural products, rice yields in Vietnam are set to decrease in the near future. China views itself in a similar advantageous position with the ability to substitute the loss of imports from Vietnam with goods from the rest of the world, particularly from its other neighbors. The loss in rice imports from Vietnam will likely be filled by rice imports from Thailand which currently has a massive surplus in rice due to former Prime Minister Yingluck Shinawatra’s rice subsidy program. The program, which served as a contributing factor to the May coup in Thailand, paid Thai rice producers up to 40% higher than the world market price for rice, creating a massive excess in finished rice stocks. Agricultural export sectors in Thailand and northern Laos also produce or can potentially grow the same agricultural cash crops as Vietnam. 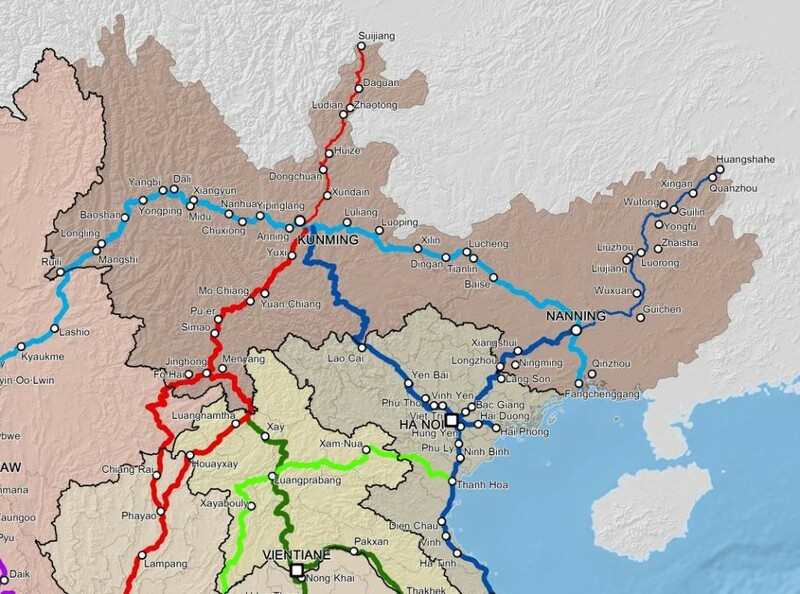 New highway systems in Thailand and northern Laos leading into China will allow these replacement exports to enter into Yunnan province for distribution throughout China. As Thailand’s export market is globally oriented and Laos’ agricultural export market is inchoate at best, China’s loss of imports from Vietnam can only be made up by a combination of trade with Thailand and Laos, increasing trade with either Thailand or Laos will not provide full compensation. It is important to remember that Laos’ total GDP is USD 10 billion, just 10% of the value of total trade between China and Vietnam. It goes without saying that the loosening of the China-Vietnam relationship brings a strengthening of China’s relationship with Thailand and Laos, yet given China’s aggressive actions in the South China Sea one cannot help but think that Thai and Lao business interests will question the motivation and levels of trust established between both their Chinese and Vietnamese counterparts. From an accounting perspective a reduction in imports from China will help Vietnam’s balance of trade. Over the past ten years, Vietnam has posted a persistent total trade deficit due to importing about twice as much as it exports to China. Increases in demand from the rest of the world for Vietnamese exports have helped bring Vietnam’s trade balance closer to unity, but deficits continue to persist sending Vietnam into dangerous inflationary cycles (up to 20% year on year) and debt to pay off its trade imbalance. While undesirable for many industries in Vietnam, a downward adjustment in trade with China could deliver a trade surplus to Vietnam providing it with excess income to service existing debt and provide for critical government programs. Increase in demand from the US and joining the Trans-Pacific Partnership could further improve Vietnam’s overall trade portfolio, but negotiations for Vietnam’s admission to the TPP seem to be stuck in the mud. If both sides can compensate, then who hurts? So if overall, Vietnam and China can compensate for the loss of trade, who hurts? Opposed to Guangxi where most trade goes through the province for distribution to points throughout China, most goods imported from Vietnam into Yunnan stay in Yunnan. Yunnan’s remote location prevents the flow of goods outward into the rest of the country. The tropical fruits which abound in Yunnan’s markets will disappear or decrease drastically unless quickly substituted by imports from Thailand and Laos, and firms in Yunnan relying on iron or copper imports will feel the burn. Locales like Hekou which thrive on border trade and tourism could return to their sleepy border post status of twenty years ago, and the future of a multi-billion RMB cross-border industrial park located a few kilometers north of Hekou will be unknown. In Guangxi, the loss in the once-robust services industry related to trade and logistics that saw an ever-increasing boom in business over the past decade will lead to unemployment in a sector that should be expanding instead of contracting. These jobs are unlikely to be replaced and similar employment impacts will be felt across the border in Vietnam. In the Mekong Delta, farmers are trying to diversify away from low-value rice planting into more lucrative fruit production for cash crop export. This shift requires investment new infrastructure, rerouting of the Delta’s irrigation channels, and a quick study of new agricultural techniques. As an example, tens of thousands of farmers in the Delta have shifted to the planting of watermelon for export to China, but if this spring’s boycott of Vietnam’s watermelon exports to Guangxi that saw the bottom fall out of the price of watermelon in Vietnam serves as a signal for the future, then the message to watermelon planters is clear: get out of the watermelon business and revert back to easy, low value rice production. Even if government policy does not shift to discourage trade between China and Vietnam, firms and border traders on both sides are likely to be the first movers to shift their exporting efforts to new ports. Currently package tours from China are banned from entering Vietnam through Yunnan and Guangxi overland, and investment groups in Yunnan have silently agreed to shift investment away from Vietnam and into Laos and Myanmar. Since so much of the trade is extractive, seasonal, or takes time to produce, exporters planning for the future now are betting on a set of current atmospherics that do not bode well for the future China-Vietnam trade. For example, a watermelon planter in Vietnam and former exporter to China now is likely to be readying for the fall planting season with a cash crop aimed at the US or another export market. Quantitatively, both sides may be able to compensate for losses in trade by shifting export markets elsewhere, and the tangible benefits for China of controlling large swaths of the South China Sea to reap the gains of energy resource exploitation likely far outweigh the total loss of trade with Vietnam. But the distributions that result from the adjustment to a new status-quo in China-Vietnam trade will be far from equal. Border trade is an industry that affects many stakeholders at many sectors from the ground up and brings direct benefits to consumers. China’s trade-off of border trade for energy resources from the South China Sea rewards state-owned oil firms first and gas-guzzling industries second leaving the consumer and small business at the bottom of the pecking order. Further, the implications that come with the uncoupling of trade relations and the decrease in business-to-business ties only point to further destabilization and the undoing of the neighborly relationships that both sides have invested in building along its shared borders for the past 25 years. It is a shame to watch the hard work of those who have built the complex web of connections between China and Vietnam go to waste, let alone consider the ripple effects that the chill in China-Vietnam relations will bring to the region. Really appreciate all those anonymous sources. Thanks.